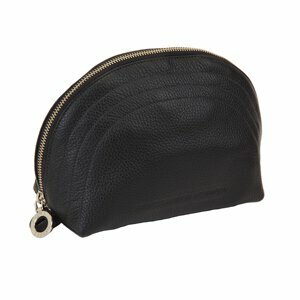 Carry all your cards in a holder that reverberates luxury and superiority. 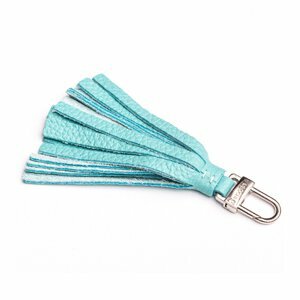 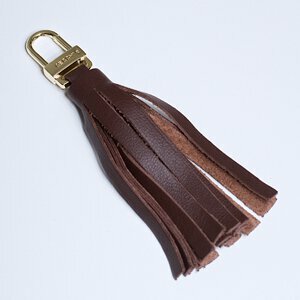 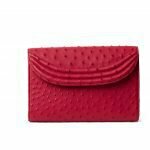 The Marsala Ostrich Cardholder is composed of real ostrich leather imported straight from South Africa. 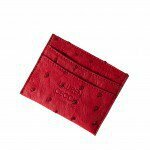 This cardholder features a deep burgundy wine exterior, a color designed exclusively by Lauren Cecchi New York, and is detailed perfectly by demure nodes of leather. 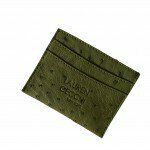 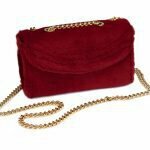 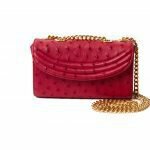 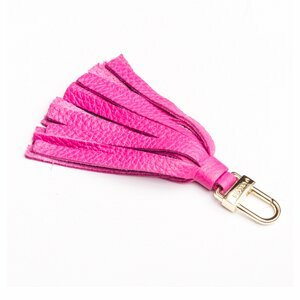 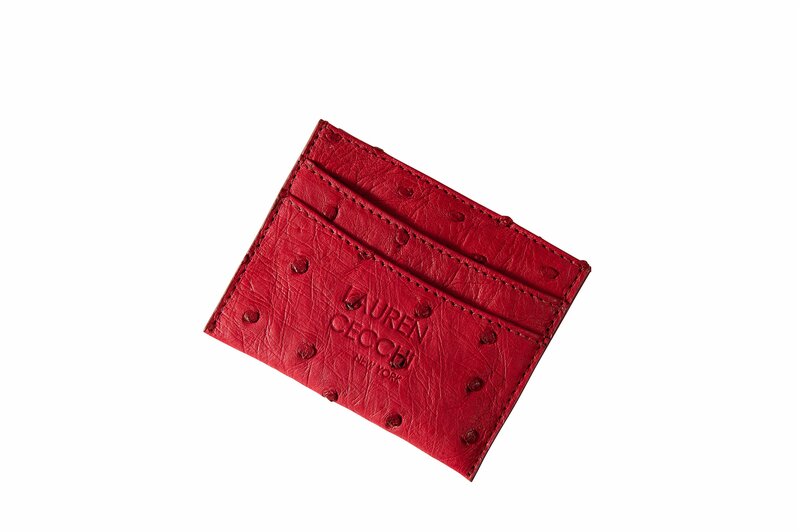 With nylon linings in each of the 5 slots and a heat stamp logo, the Marsala Ostrich Cardholder is the perfect prize for inside your favorite Lauren Cecchi New York handbag.